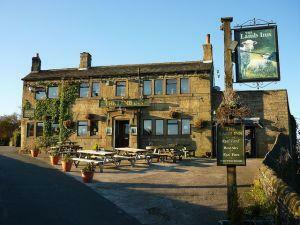 The Lamb Inn01535 646394work Public HouseThe Lamb is a traditional, cosy pub near on the outskirts of Oxenhope. Near stunning moorland and the Bronte Way a popular long distance walk. The Lamb serves great value food as well as several real ales, including Black Sheep, Timothy Taylor's "Landlord", Greene King IPA and John Smiths. Children welcome. Beer Garden. No food available Wednesday lunchtime and Sunday evening. The Lamb is a traditional, cosy pub near on the outskirts of Oxenhope. Near stunning moorland and the Bronte Way a popular long distance walk. The Lamb serves great value food as well as several real ales, including Black Sheep, Timothy Taylor's "Landlord", Greene King IPA and John Smiths. Open Monday - Friday 12.00-14.30 and 18.00-23.00. Saturday and Sunday 12.00 - 22.30.